In choosing to withhold the name of the trooper who shot Jesse Jesus Quinton in self-defense in November, Idaho State Police officials cited state police policy and concerns for the trooper’s safety. State Police District 6 Spokesman Lt. Chris Weadick cited unease about the potential harassment the trooper could receive before the investigation was complete. Law enforcement agencies must balance the public’s trust, the rights and safety of the officer as well as the integrity of the investigation itself when deciding to release an officer’s name. The final decision can vary depending on the specifics of what happened as well as individual agency policies. 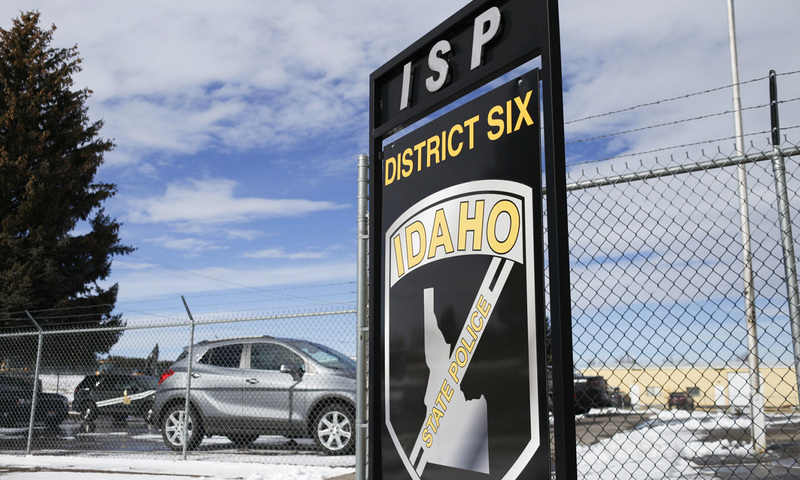 Officials from both the Idaho Falls Police Department and Bonneville County Sheriff’s Office said they have no policy to determine when or if the name of an officer should be released after a shooting. In 2015, the Jefferson County Sheriff’s Office, which was the lead investigative agency for the Eastern Idaho Critical Incident Task Force, waited three weeks to name a Bonneville County Sheriff’s Office deputy who shot and killed a 31-year-old man in Jefferson County, following a high-speed chase from Bonneville County into Jefferson County. In that incident, the suspect who was killed, Tyrell J. Larsen, had exited his vehicle, rifle in hand, and failed to yield to Sgt. Nathan Bennion’s commands. In 2018, the Idaho Falls Police Department identified the two officers involved in the fatal shooting of Shane McVey three days after the incident. The Eastern Idaho Regional Critical Incident Task Force completed its investigation in three weeks and it was another three weeks before the Twin Falls County prosecutor made a decision not to file charges. The investigation determined McVey had attacked the officers with pepper spray and that the shooting was justified. The Quinton shooting was determined to be justified just as the Larsen and McVey shootings had been. A big difference between the cases was the length of time it took to complete the investigation and for the prosecutor to rule. In the Quinton shooting the process took 90 days, and Idaho State Police identified Trooper Andrew Francis following the release of the prosecutor’s memorandum. According to the Washington Post, 20 percent of officers involved in shootings are never identified. Under Idaho Code 74-124, law enforcement offices are not required to release the names of officers involved in shootings. Bonneville County Sheriff’s Office spokesman Bryan Lovell said one of the reasons to release the name and details of a shooting is to prevent speculation from cropping up in place of facts. In the gap between when Quinton was shot in November and the prosecutor’s findings on Friday two people with some knowledge of Quinton, who spoke with the Post Register about the shooting, identified a different trooper as the shooter. A search of news articles published in neighboring states shows a variety of practices when it comes to law enforcement agencies naming officers involved in fatal shootings. Last month in Bozeman, Montana, the Bozeman Police Department waited just three days to identify the officer involved in a Jan. 5 shooting. In Laramie, Wyoming, Albany County Sheriff’s Office officials also waited just three days to name the deputy involved in a November shooting. In Utah, it took more than 11 months for the identity of a Utah Highway Patrol sergeant to be released following a July 2017 shooting. Patrol Spokesman Sgt. Nicholas Street said his office prefers not to release the name unless legally necessary. “We err on the side of not releasing it,” Street said. He added that the name often becomes public through family members of the person who was injured. Lovell said waiting for the results of the investigation is stressful on officers and their families. Law enforcement officers are typically placed on administrative leave while what is essentially a criminal investigation determines if they were justified in their actions. When Idaho Falls Police Department Chief Bryce Johnson had to make the call last year on whether to release the officers’ names in the McVey shooting, he decided to disclose them. The Idaho Falls Police Department released Officer Earl Laughter’s name three days after McVey’s shooting. Johnson said the hope was that releasing the name and details would relieve pressure on the officer and raise public confidence in the investigation. Johnson said it’s common for officers to receive threats after their names are released. “The reason other agencies don’t release the name of the officer is to try to protect their safety because they are very concerned about people targeting the officers and going after them,” Johnson said. Johnson cited his own experience with a colleague who came under public scrutiny after he shot a man attacking another officer. The fallout was swift, with the officer’s family receiving calls. The police department gives the investigating office and the police officer a day’s notice to make sure the officer is interviewed before their name is released. Idaho Falls Police Department Captain Steve Hunt said social media has increased the need to get ahead of public speculation. Hunt added that releasing an officer’s name is decided on a case-by-case basis. Johnson said releasing the names of officers can help protect them, however, because it reduces public speculation. “My opinion is, when we do it, we’ll release that name to build that public support to help that officer stay safe,” Johnson said.